Sometimes a girls gotta create! Thank goodness for preschool. It’s three whole hours of kid free bliss when I get to do my favorite thing: roam craft stores for inspiration! 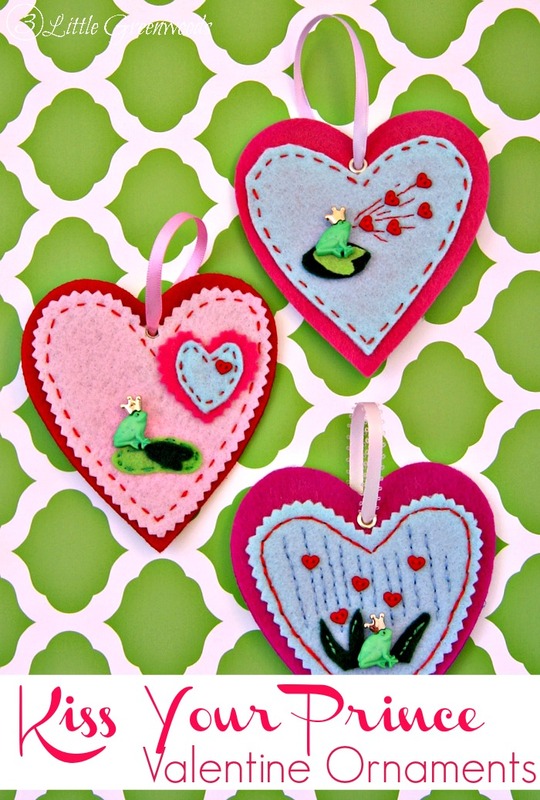 Here’s the latest product of my last craft store visit: DIY Felt Valentine’s Ornaments! This year I wanted to do something completely different with our Christmas decorations. For the past five years everything in our home has been blue and white, and I was ready to change things up. My mom and I decided to go to a Christmas shop in my area, and I saw the most beautiful music themed Christmas tree. The bulbs were gorgeous and purple (my favorite color) so I knew I just had to have the ornaments. Luckily my husband was pretty laid back about having a more feminine colored tree!